There is really good news to report regarding the October (year over year) home sales report. 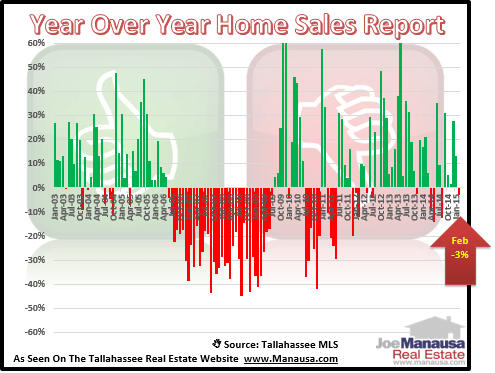 The number of homes sold in Tallahassee in October 2012 was 41% higher than were sold in October 2011. By tracking "year over year" monthly home sales, we are able to generate a home sales report which shows market trends without the impact of real estate seasonality. 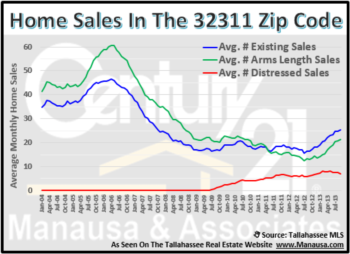 The real estate graph below shows the Tallahassee year over year home sales report going back to 1991. Each bar represents the percentage gain (or loss) for each month when compared to its corresponding month from the year prior. To put the significant rise in October into perspective, it was only one of seven times in the past 21 years that the year over year home sales report recorded a gain above 40%! One of the best ways to determine where the real estate market is heading over the short term is to analyze the year over year home sales report over a long period of time. When we look at the real estate graph above, we can see that six of the past seven months have recorded gains in this report. This is a good sign that the housing market is building momentum and could possibly break-out of the real estate market bottom that we have been fighting for the past few years. But what we are really looking for can be seen from late 2006 to the end of 2009. We want the opposite to occur. 39 consecutive months of year over year declines were recorded during that time, and the market was drug down to unit sales levels we never thought we would see again. 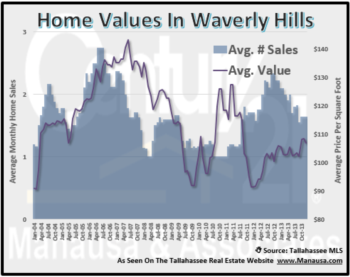 We are now awaiting a long run of gains that will bring the Tallahassee real estate market back up to normal rates of sales. If you want to know how to take the information from this home sales report and apply it to your present situation, simply drop me a note and we can schedule a time to review your specific wants and needs.